Meet Gene R. hill, sr.
﻿Gene R. Hill, Sr. multi-craftsman and inventor, married Brenda Blount, an Elementary Special Education Teacher in 1991. Together they blended a mixed family of 15 children (his, hers, ours and others’). ​Gene R. Hill, Sr. multi-craftsman and inventor, married Brenda McArthur Blount, an Elementary Special Education Teacher in 1991. Together they blended a mixed family of 15 children (his, hers, ours and others’). Known as “Brother Hill,” Gene signed up for the prison ministry in 1993 and Brenda signed up and began working with women and girls in 1995. They recognized various offending behaviors that existed in prisons, the work place, bible classes, restaurants, public office, highways and byways, etc. They saw how these behaviors placed stumbling blocks in the paths of others and caused them to fall, distrust, or make unjust judgments about others. These offending behaviors transcended age, race, gender, etc. The term “Offender” took on a different meaning, and a great passion with desire stirred in the Hills to address these at risk behaviors in youth; to help circumvent their path of a possible life of incarceration, in others and in themselves. Successful Tools for Residential Non-Governmental Transitional Housing, known as STRNGTH: A 36 Week Curriculum based on the 8 Step Eco-Map was developed. This Divine inspiration comprises twenty five (25) years of life experiences with diverse personalities and challenges in blended families, various ministries, and community lobbying for the at risk, incarcerated and the former prison population. 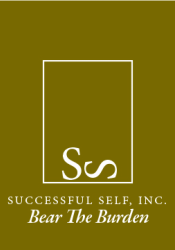 Successful Self, Inc. is a 501c3 non-profit corporation formed in Jan. 2009. If you or someone you know would like to donate, sponsor, or otherwise support Successful Self Inc., to help us reach out and retrain the at risk, incarcerated, or former prison population, your tax deductible donations are greatly appreciated! Simply mail a check to us at: 4219 Worthy Dr., Lake Charles, LA 70607.